I used to lead backpacking trips through the mountains of North Carolina. The pack I carried while guiding was a massive creature, it was a weighty 90 liters. After a year of trudging around those blue mountains with it strapped to my back, I unclipped my hip belt, let the weight slide off my shoulders and thought: there has to be another way. But my time guiding had given me a bad case of what I call: “Panic Packing”. What if we get that freak blizzard, better bring those extra socks. Do I need crampons? More bandaids in the first aid kit? And that one hat I never wear? I should bring that too, just in case.… I don’t know, someone’s hat catches on fire? The first time I really heard about ultralight backpacking, all I could picture was a thru-hiker weighing their pack and shouting “Ha! Yes! Down 2.4 ounces!” as they shove yet another cliff bar in their mouth. My friend Maps, who earned her trail name on the Pacific Crest Trail, told me she cut her toothbrush in half to save weight a couple of months into the trail. I laughed, what was so heavy about a toothbrush? I wanted to know if her toothbrush had been made from some sort of heavy metal and if her fingers really were thankful to only have to bench press half of it now. But the real kicker was when she told me the base weight of her kit was 11 pounds and that she could run up mountains if she wanted… with her pack on. I shook my head in disbelief. 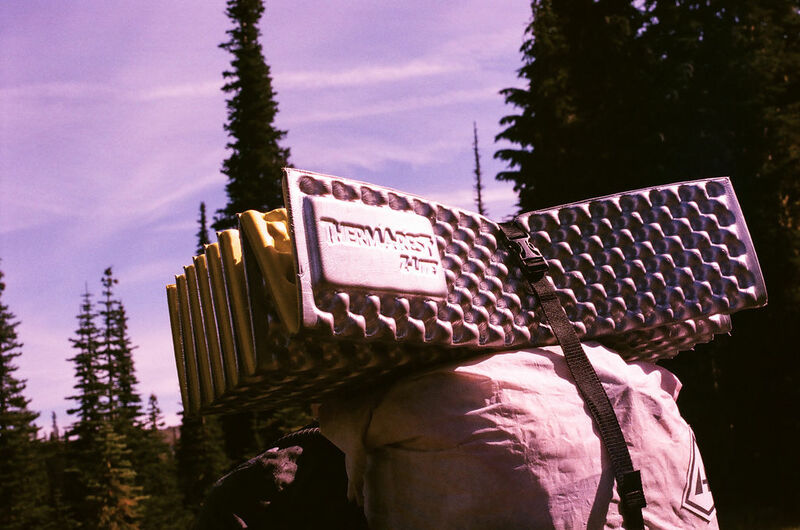 Becoming a part of the lighter pack club was not only a challenge for my inner “prepper” but also an attempt to find more freedom on the trail. 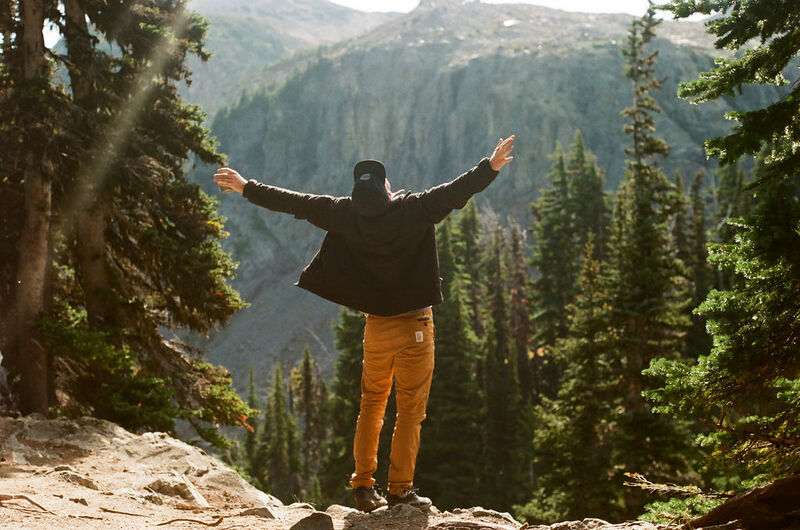 Even though I was curious about a lighter haul, it wasn’t until a year later when I decided to hike the Wonderland Trail that I finally said goodbye to the tail end of my toothbrush. The Wonderland Trail is roughly 100 miles long and encircles the base of the highest mountain in the Cascade range in the Pacific Northwest, Mt. Rainier. 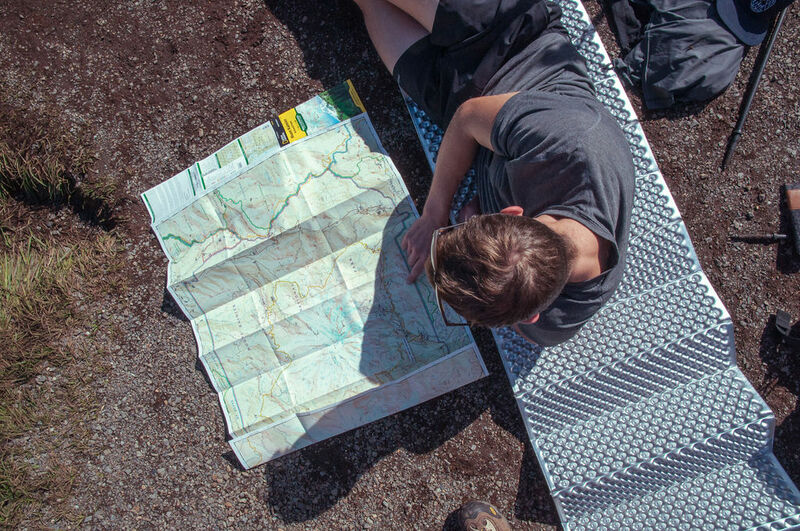 The elevation gained on the trail is the equivalent to climbing from the base camp of Mt. Everest to the summit…twice. It’s a beautiful beast of a climb. Because of the difficult nature of the trail, I knew going ultralight would not only just feel better, but be beneficial for putting in long days and big miles. I was up for the challenge to lighten my load, regardless of my notorious superpower to overpack. The first thing I got rid of was my giant backpack. I needed a new one and for the sake of staying on theme, I bought what was advertised as an: ultra lightweight backpack. It weighed a whopping 2.4 lb My goal was to have a base kit (not including clothes or food since those things vary greatly from person to person) that would be under 12 LBS. 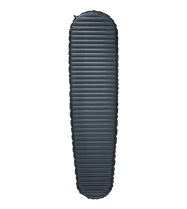 I decided to go with the new ultralight sleep system from Therm-a-Rest. Since most of the campsites on the Wonderland Trail are high in the mountains, I knew I wanted at least a 20-degree bag. 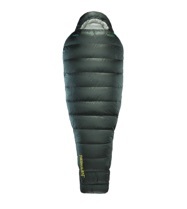 The Hyperion sleeping bag is featherlight, only weighing 1 lb 3 oz. As someone who gets cold and often brings a sleeping bag rated for far colder temperatures than what’s actually forecasted, I was so happy with this bags ability to be lighter than a cloud yet still keep my toes toasty in the high alpine air. 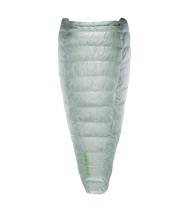 My whole Therm-a-Rest sleep system (sleeping bag, pad, Z Lite and pillow) only weighed 2.61 lb. Finally, it was time to place our noticeably lighter feet on the trail. 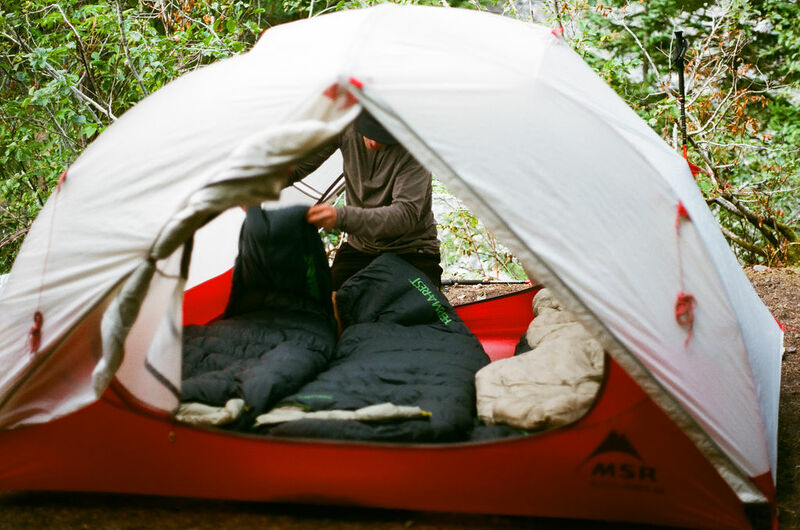 We didn’t get the permit for the dates we put in for, so we showed up at the ranger station the night before our start date, set our alarms for sunrise and hoped for the best. We got campsites based on a first-come-first-serve basis. 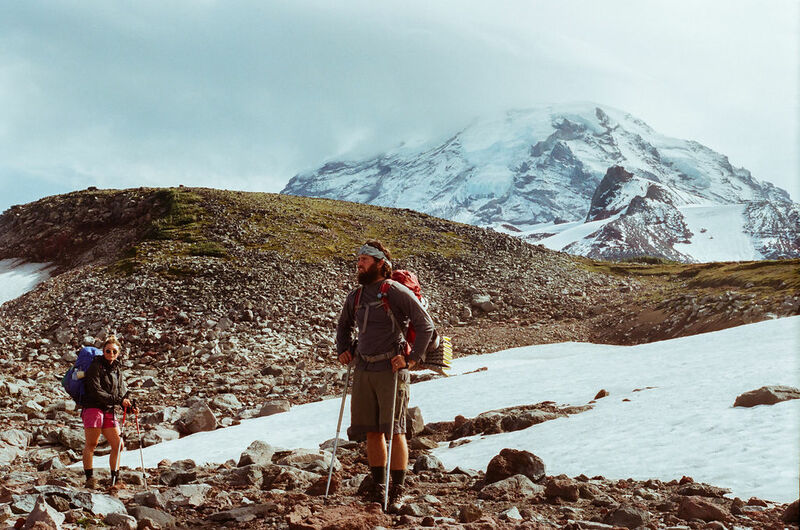 Our route around Rainier was chosen for us, but because our packs were so light we were able to hike farther and faster without the weight of our packs forcing us to slow down. Our bodies weren’t aching on the days that we stopped at our food caches and loaded our backs with fresh snacks and dinners for the next couple days. Every night as the sun melted into the horizon the high mountain air would slip into the atmosphere and begin to freeze the world, our breath suddenly appearing in front of our faces as we talked about tomorrow’s route, mileage and elevation. There are no campfires to cozy up to on the Wonderland Trail. 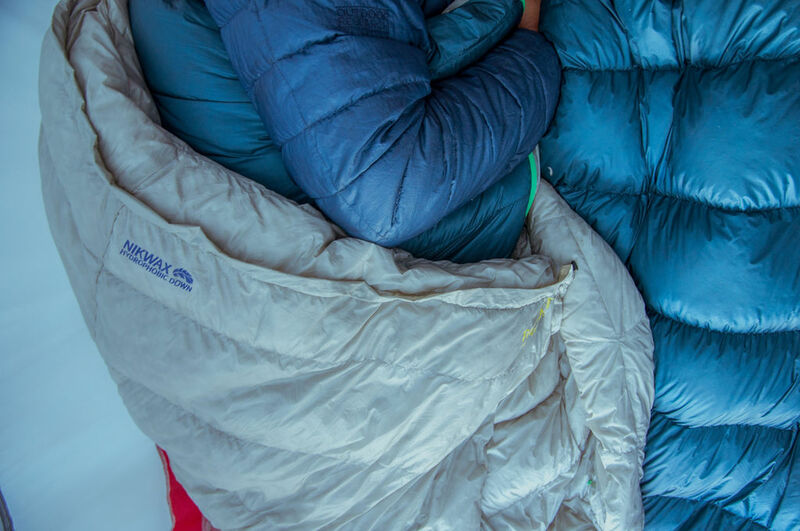 Instead, to stay warm as the stars burned bright over our heads, we’d wrap our sleeping bags around our shoulders, sitting outside until our eyes begged for sleep. Camp was a refuge not just for stargazing but our place of comfort among the pines. The Lighter Pack Club is not about gaining membership, rather it’s is about gaining a new perspective on how hard you can push your body without hurting your body. 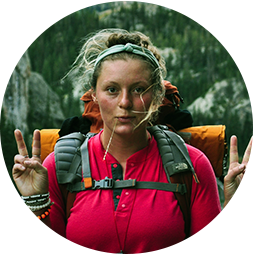 When you cut your weight in half, you are doubling the amount of joy that backpacking can bring. You’re creating a system that allows you the space to breathe. I really didn’t leave anything behind by downsizing. I still had all I needed, my gear packed smaller and I was no less prepared. The Wonderland Trail wasn’t the longest amount of time I had spent in the wild, but it was the most freeing I had felt in a long while. After 3 rolls of film, 23,000 ft of elevation gained, 126 mini snickers and 100 miles, we walked out of the woods weightless. And it wasn’t just the lighter pack. We had tasted the weightless, wild freedom of walking through the woods. Somewhere between the old pines and the lingering pink skies at dawn, we had lost the weight of the world.